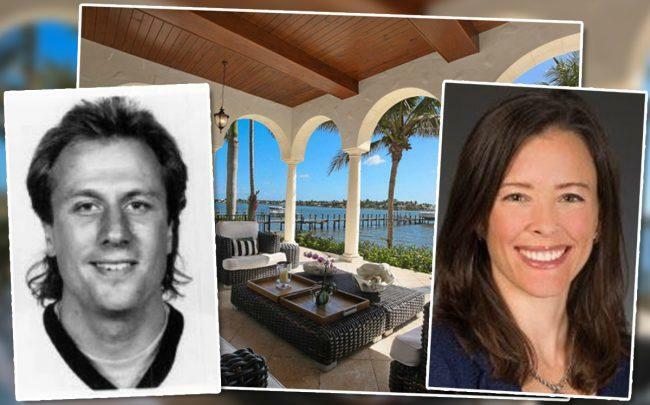 Former NHL player Arne Michael “Tellus” Thelvén sold his Jupiter home for $6.2 million to the CFO of Florida’s largest electric utility. Thelvén and his wife Aline sold the 9,512-square-foot home at 19080 Loxahatchee River Road for $652 per square foot, records show. The buyer is Rebecca Kujawa, the CFO and executive vice president of NextEra Energy, the parent company of Florida Power & Light (FPL). The home was built in 2009 and has six bedrooms and nine bathrooms and sits in front of the Loxahatchee River. The home also has a wine cellar, guest house, a three-car garage and a dock with two boat lifts. The estate is near NextEra Energy’s headquarters in Juno Beach. Kujawa was promoted to the role of CFO of the Fortune 200 company in March. She joined NextEra Energy in February 2007 and previously served as vice president of business management for the Midwest and international regions for NextEra Energy Resources. Thelvén was a defenseman for a Swedish professional hockey league between 1978-85. He also played for the National Hockey League’s Boston Bruins from 1985-1990. He scored 20 goals in the NHL and played 207 games. Jupiter is one of the wealthiest towns in Palm Beach County where a number of celebrities have bought large homes. The founder of NetJets Marc Laukien sold his 9,310-square-foot home at 19307 North Riverside Drive for $5.1 million in December 2017. In May, Serena Williams sold a 2.4-acre vacant lot at 152 Bear’s Club Drive in Jupiter for $6 million to Patrón Spirits CEO Edward Brown and his wife Ashley.